The British Gazette » Brexit: Trick OR Treat? 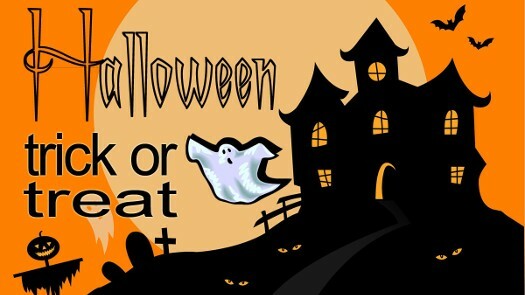 With the new Brexit date of Thursday 31st October 2019 at Midnight Central European Time, linkage with Halloween and Trick & Treating is inevitable! Sorry! Sadly, what comes next has a weary inevitability about it. The words of Donald Tusk, President of the European Council, “…..Let me finish with the message to our British friends: Please do not waste this time…..” are likely to fall on deaf ears. Of course, those people who are now refereed to by the media as “Brexiteers” are pointing the accusatory finger at Madame Mayhem. There is however another person who has a considerable degree of responsibility – albeit only a fraction of that which lies upon the shoulders of Madame – for this débâcle and that is of course Comrade Corbyn. There is of course an OBVIOUS solution to this political train crash. And that is a second referendum. BUT NOT the second referendum being lobbied for by the Remainers and Remainiacs in Parliament. What is clear as day is that these politicians will yet again try and append a “Confirmatory Vote” to Meaningless Vote #4 when it comes before the House of Fools yet again. And yet again, Comrade Corbyn and his front bench will attempt to manoeuvre for a General Election. The utterly depressing FACT is that the Westminster political machine is so broken that it is probably incapable of any self repair or self rectification and the UK will continue to witness “argy-bargy” until the end of October. It will get to a point where faced with a No Deal Brexit – the EU having made it clear that NO further extension to A50 will be countenanced – the House of Fools will put forward a Bill which will become an Act requiring the Prime Minister – likely still to be Madame – to Revoke Article 50 by way of Statutory Instrument! This of course will lead to an immediate dissolution of Parliament and a General Election! Of course, as a member of UKIP I should be well pleased with this prospect! Because UKIP’s loudly proclaimed policy of embracing a “No Deal Brexit” will never come about and thus will not expose UKIP to be a party composed of utter fools. Instead, UKIP will have the most wonderful degree of victim-hood in which to wallow. Large numbers of the electorate will be furious with the political establishment for messing up big time! It will deepen divisions and increase tribalism. What SHOULD happen is a proper Second Referendum which allows the British People to fuilly express their wishes. #1: Enact the Withdrawal Agreement. #3: Do neither of the above and leave the EU with no deal. Now of course, such as Sourpuss Soubry aka Angry Anna of Broxtowe will suggest that this is a very dangerous course of action! And she would be entirely correct! It is! However, it is necessary risk to take. This is because notwithstanding the FACT that Madame’s Withdrawal Agreement results a Brexit, many people who would describe themselves as “Brexiteers” do not accept this. They regard it as BRINO – Brexit In Name Only. Many of these people would wish that the UK leave with no deal. Therefore in order to respond adequately to the wishes of the electorate the three choices should be on the ballot paper. Since there are three choices the Second Ballot method of voting should be used. Which means that should no choice result in 50% + 1 of votes cast, the top two choices should go to a “run-off” ballot. Interesting that the ‘Pixie’Balls-Cooper* vote is claimed as a victory by ONE vote yet they almost all, have the gall to disregard that of the 17.4 million who made their choice to leave the corrupt, controlling, deceitful, unaccountable Soviet European Union. *Richard Littlejohn’s name for her.